Welcome to Zurich, the city is often called by the local’s as “Downtown Switzerland”, for its internationally renowned financial importance as a centre for banking. You have the day free to enjoy the delightful lakeside setting or stroll on the Bahnhofstrasse, and other main sights of Zurich. 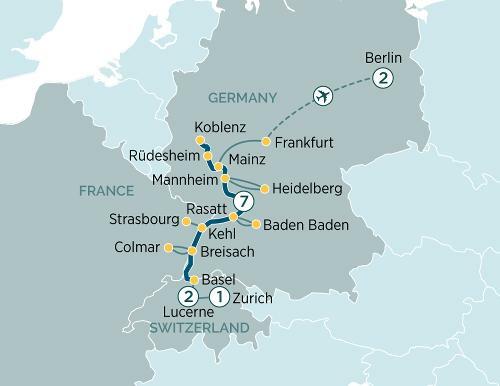 Included is a one-night stay in Zurich.